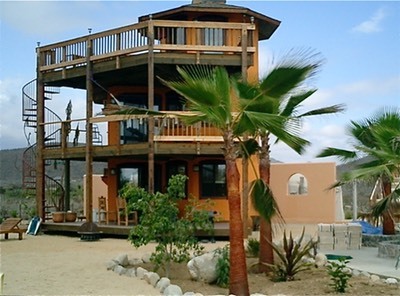 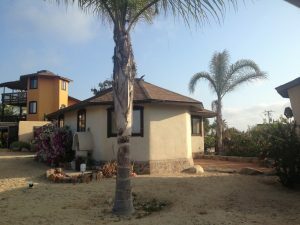 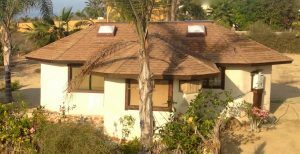 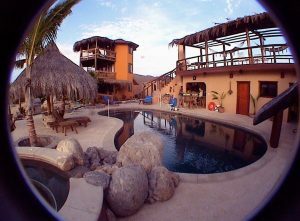 Three Story Villa in Baja with decks cement plaster exteriors that withstood last year's category 5 hurricane. 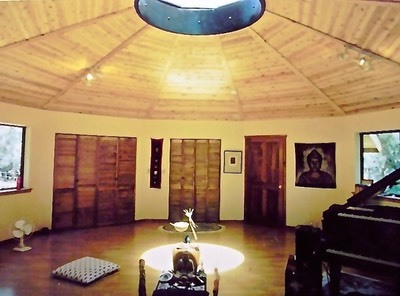 From the ancient wisdom of the Mongolian culture to the Americas. 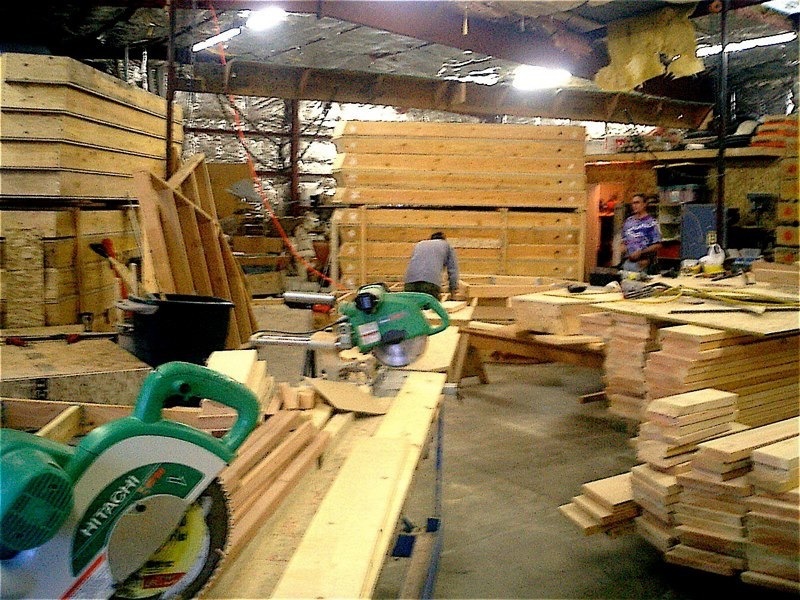 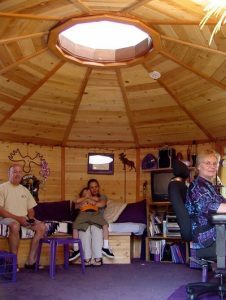 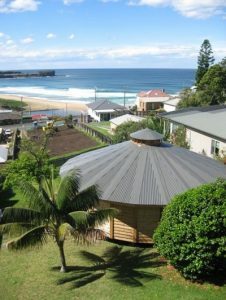 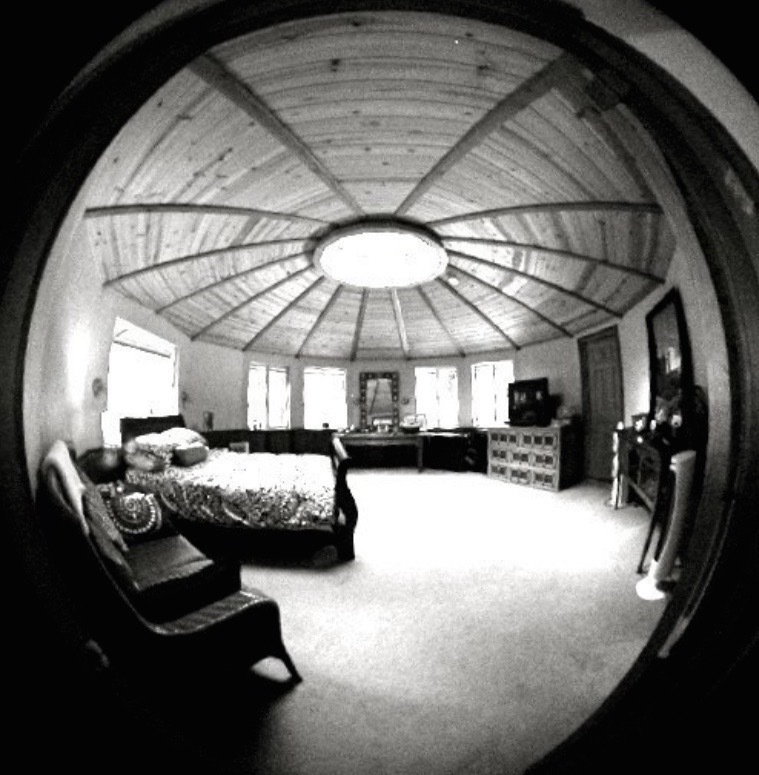 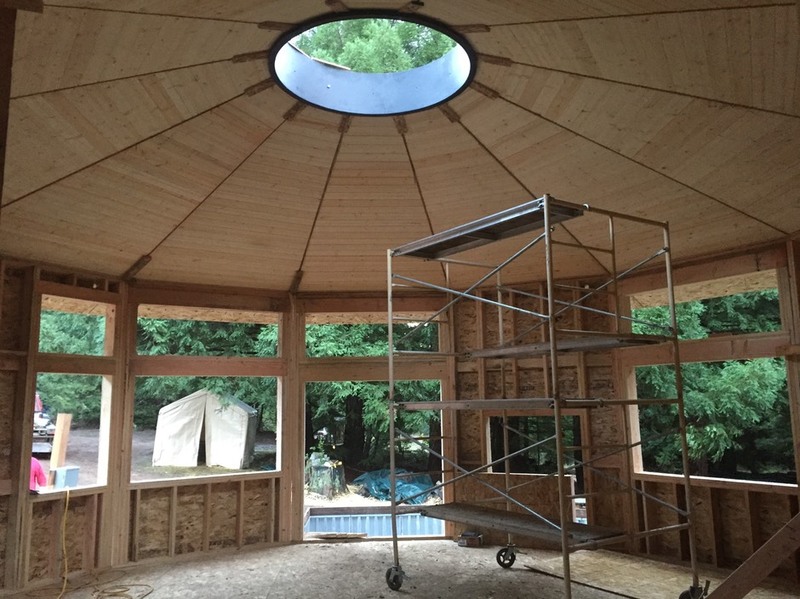 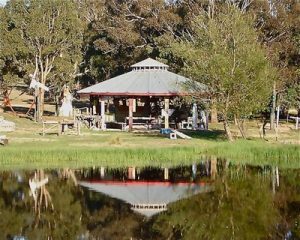 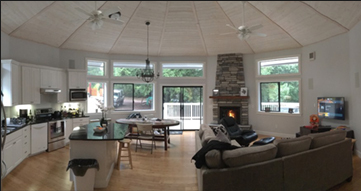 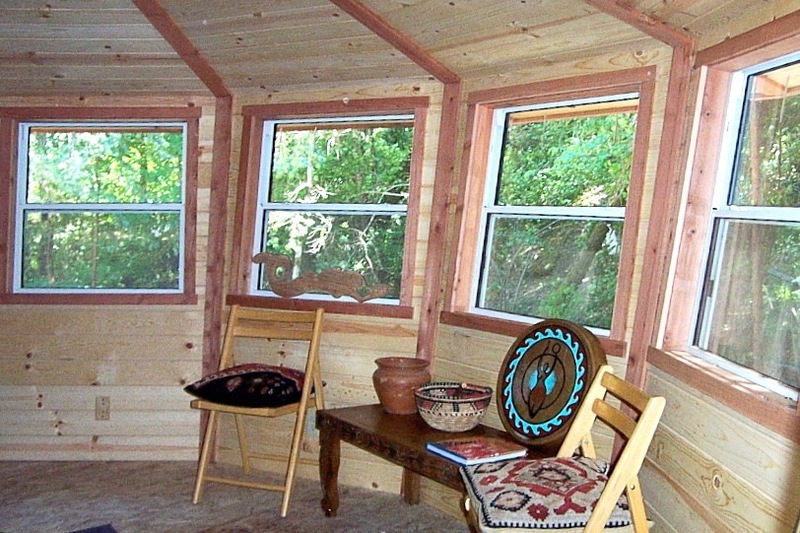 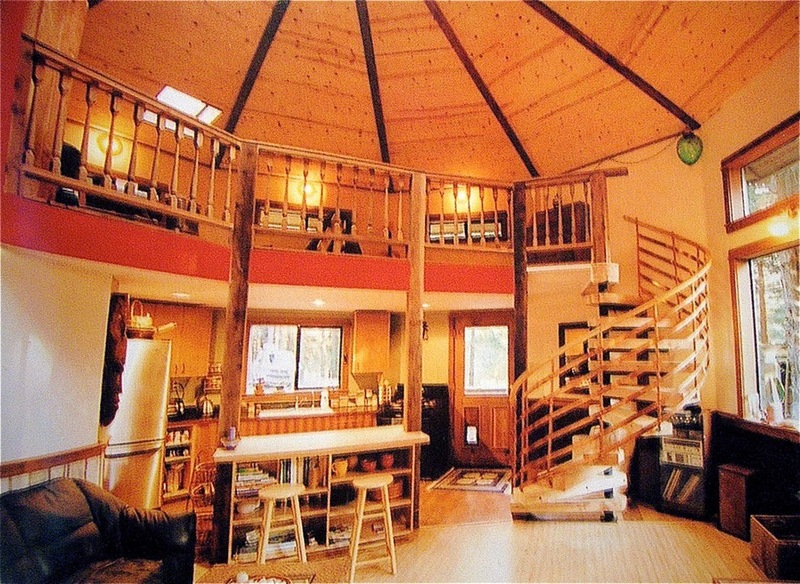 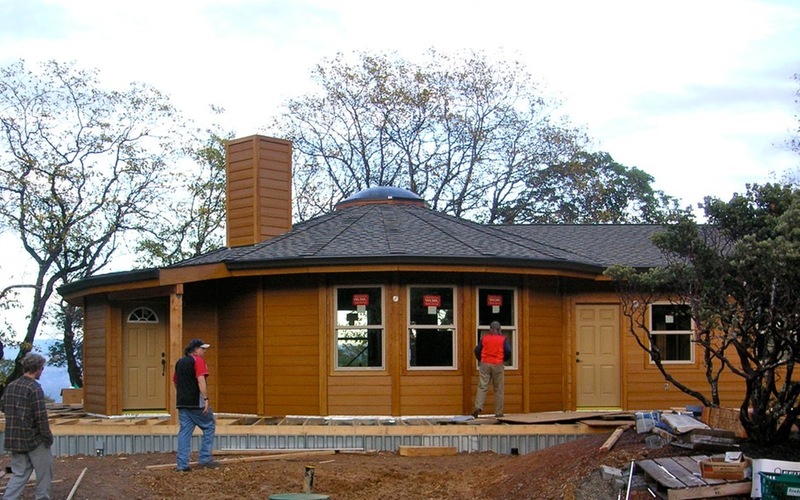 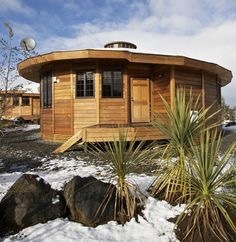 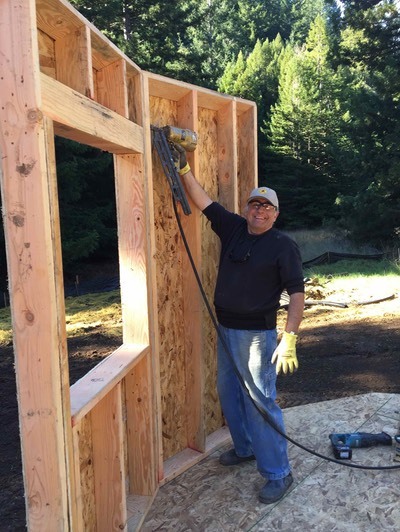 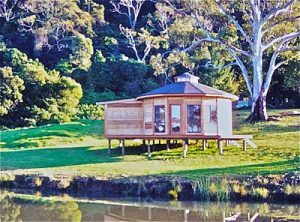 Be a part of the transformation from “GER” to the modern day permanent Yurt. 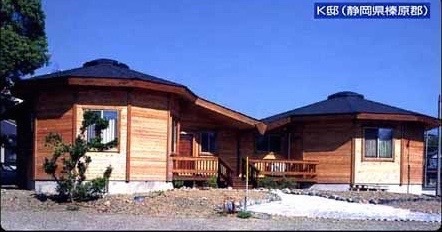 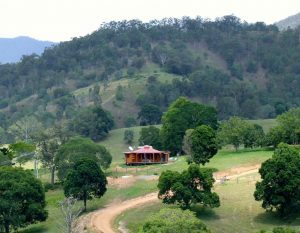 Earth Plaster code Home in Pt. 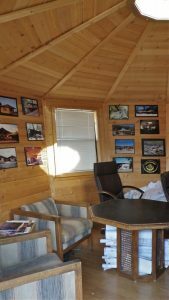 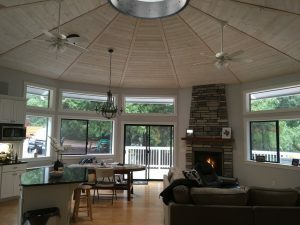 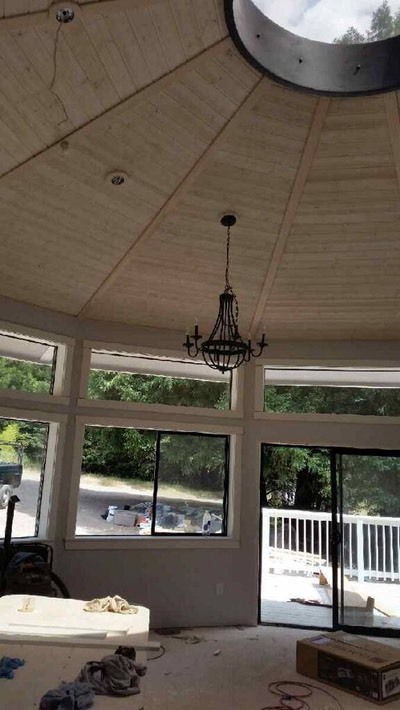 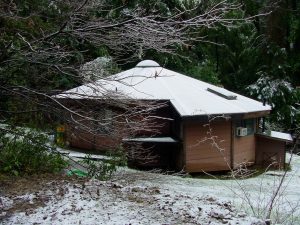 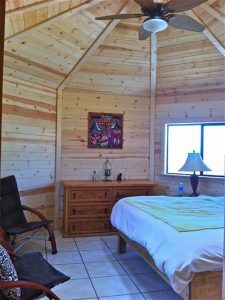 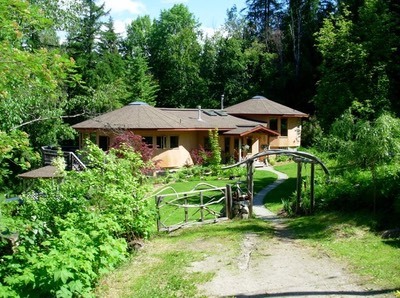 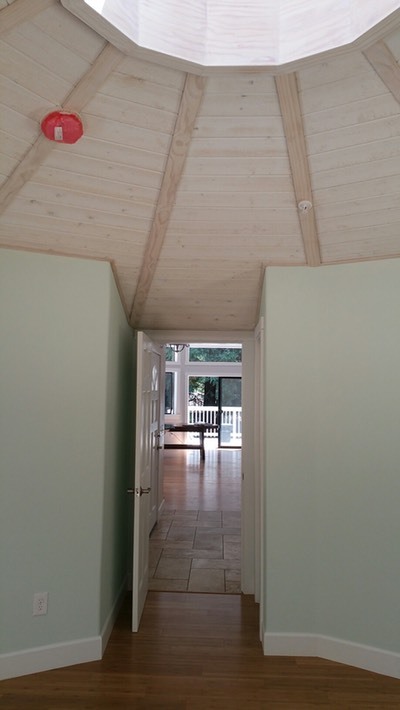 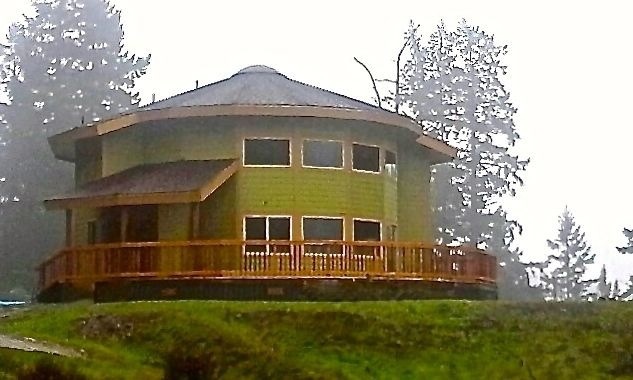 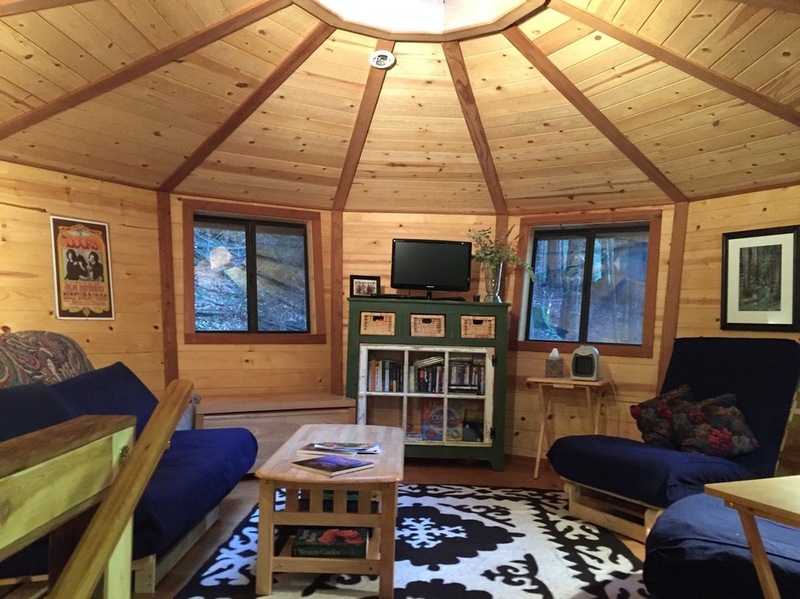 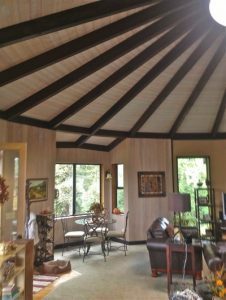 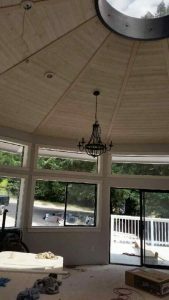 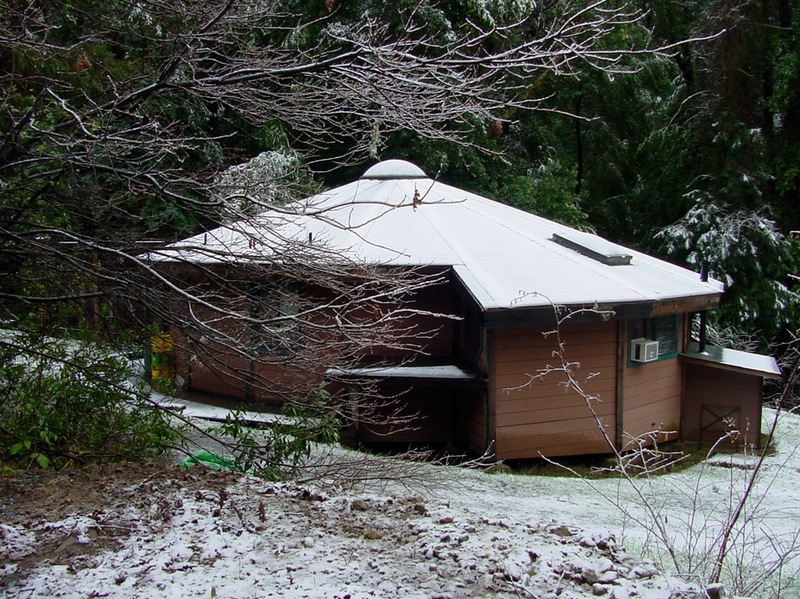 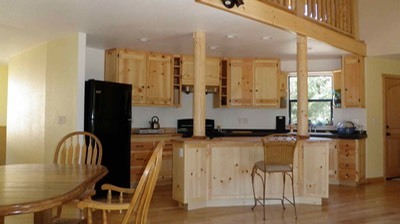 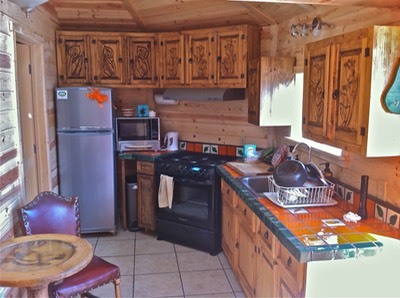 28’ Yurt with 12’ wing bedroom and 2 baths.laundry with interconnect entry to 15’ master bedroom and wrap around deck with hot tub and gas fireplace. 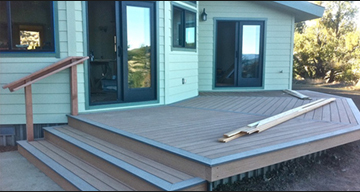 Deck shield steel panels, Tempered window, vent less insulated eaves, baffle foundation vents prevent wild fires from entering under or through your home. 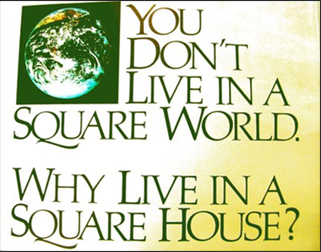 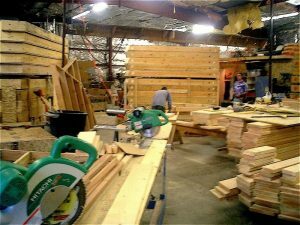 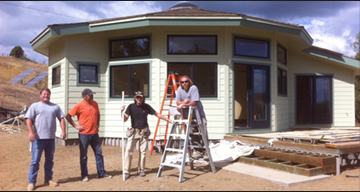 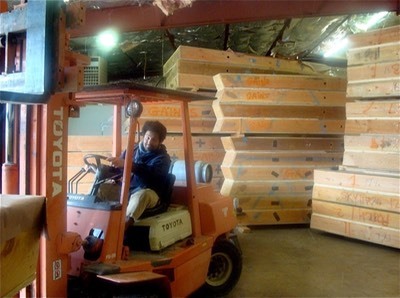 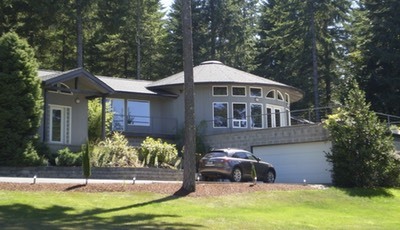 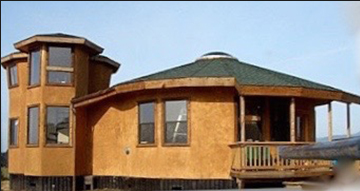 Our Cluster Custom Homes vary in size. 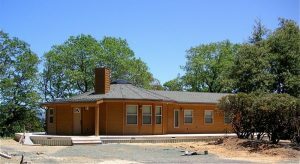 This one below was recently completed in Navarro California and is 1,265 square ft. and was built with many custom features, heated bathroom floors, gas fireplace, large wrap around decks, clearstory high ceilings, granite counter tops, bamboo and tile floors for under $340 per square Ft.
41’ art guild studio in Vavcaville CA. 15’ Nomad video in downtown Ukiah, CA. 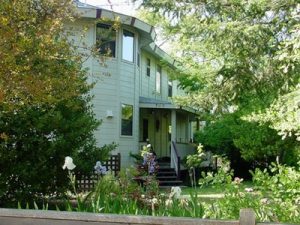 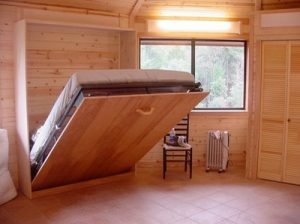 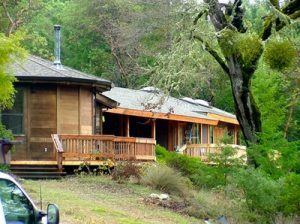 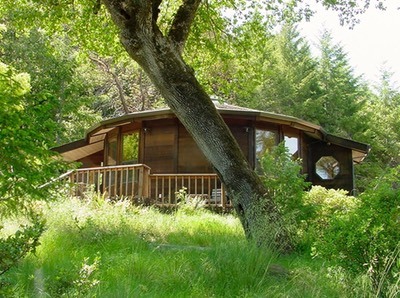 Rocky Creek family retreat complex in Anderson Valley Ca. 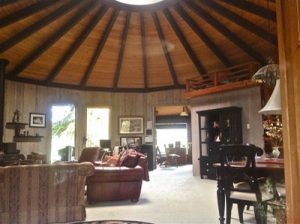 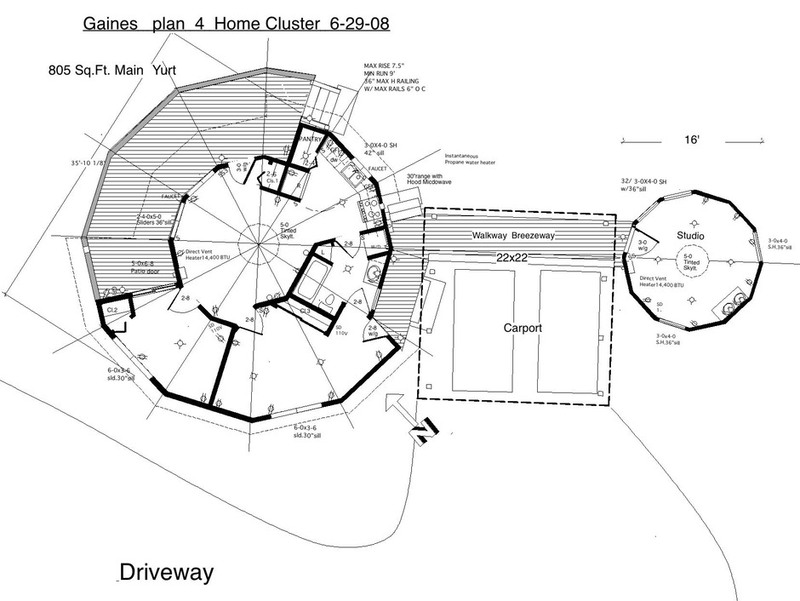 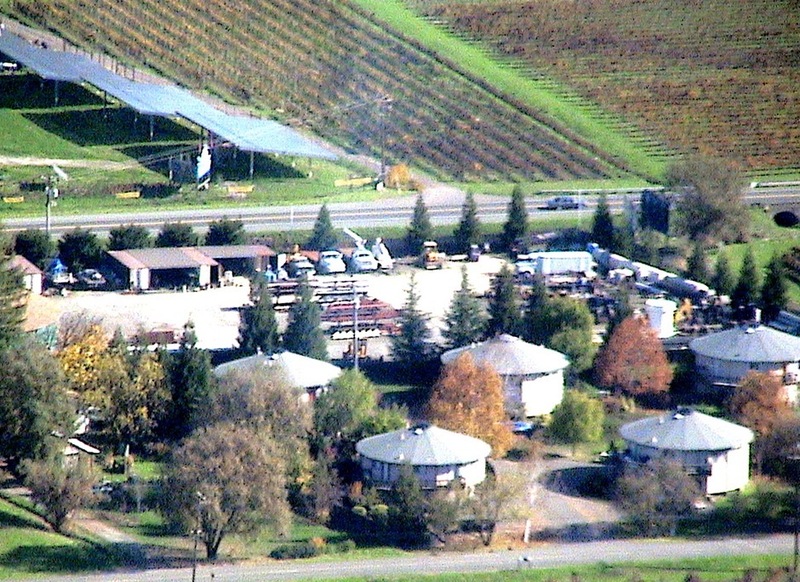 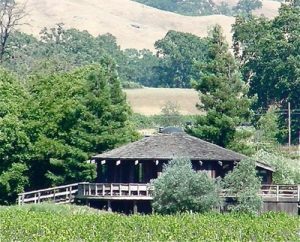 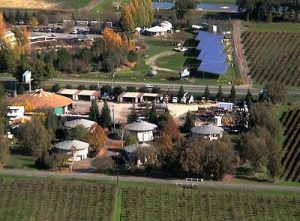 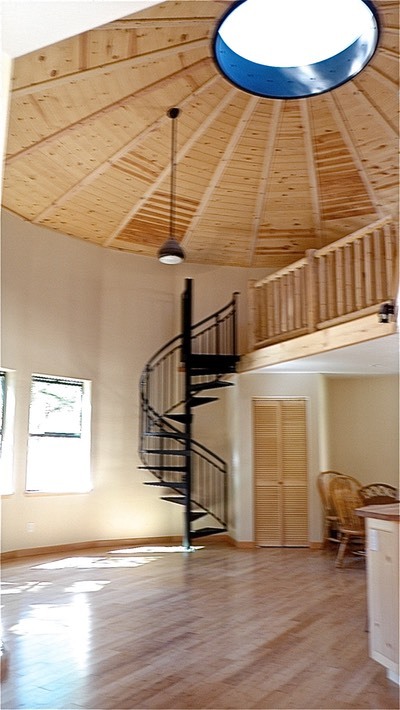 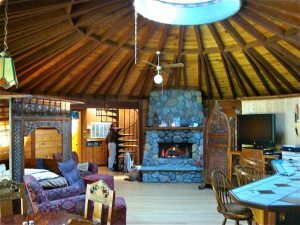 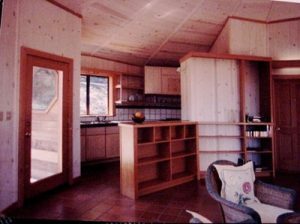 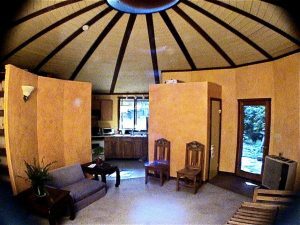 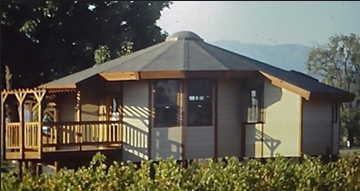 Yurt Home with 3 car garage under vineyard in Potter Valley CA. 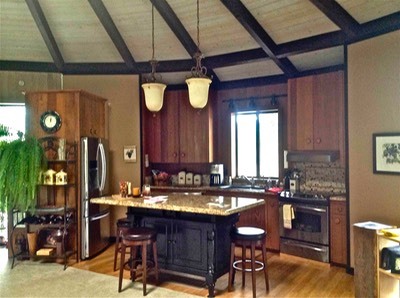 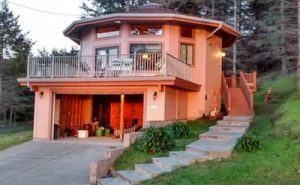 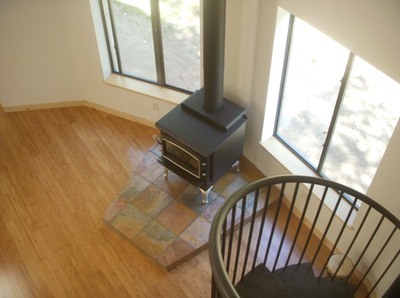 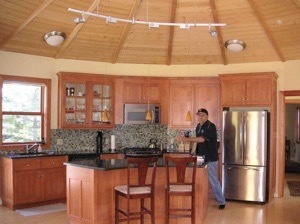 26’ Tower with Kitchen under office loft in Ft. Bragg CA. 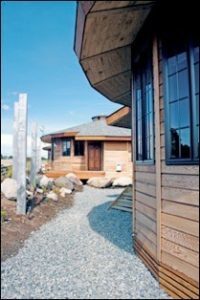 Fire resistant Hardi panel siding with ventles eaves. 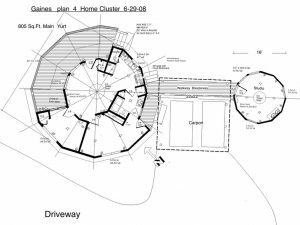 Solar grid tie 5 bedroom home cluster in Talmage CA. 26’ first phase home with interconnect awaiting 2 tory 1’ tower with fire resistant exterior and Fire shield deck perimeter. 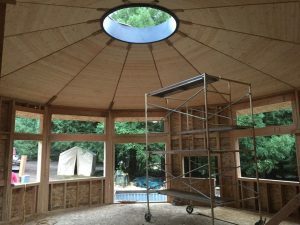 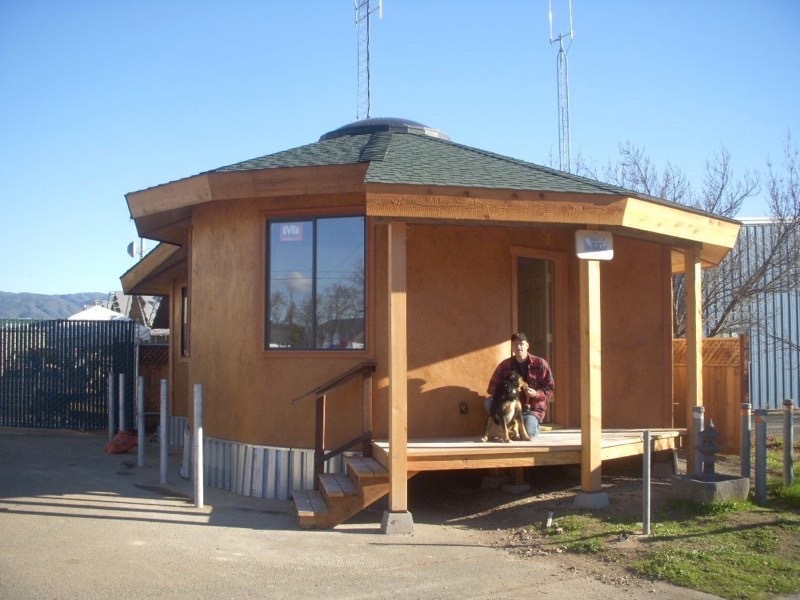 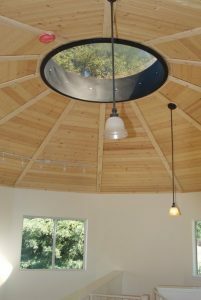 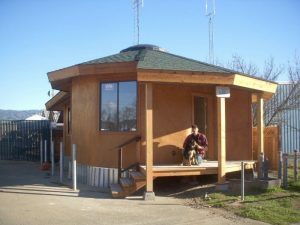 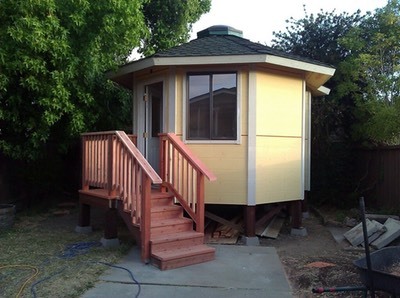 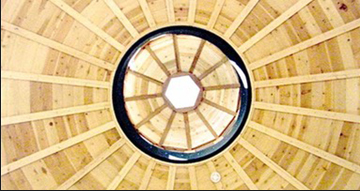 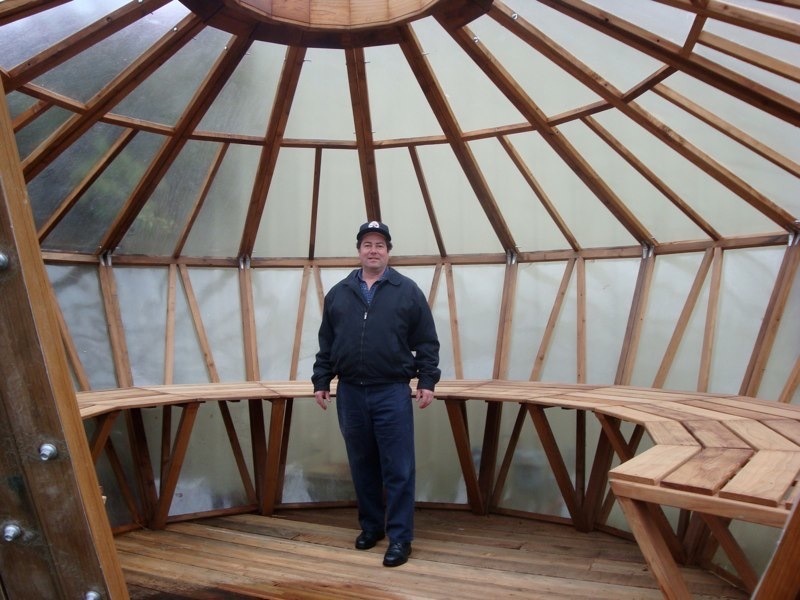 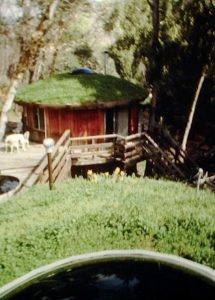 13’ 8 sided code built yurt in Oakland where no permit required id under 120 Sq.Ft. 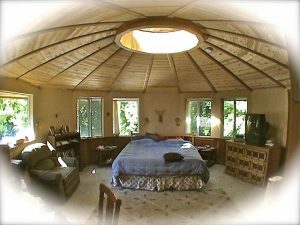 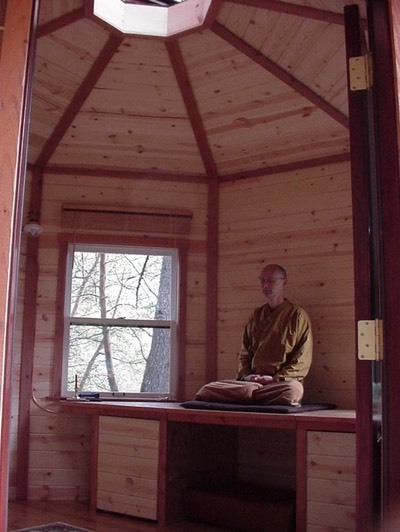 13’ Meditation Yurt in Redwood Valley CA. Completed in 2014 Fire resistant 4 bedroom tower home in Willitswith Class A fireproof 40 year roofing. 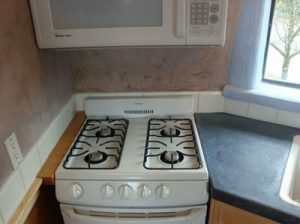 Small and intimate yet open and roomy! In memory of the late Annie Raitt. 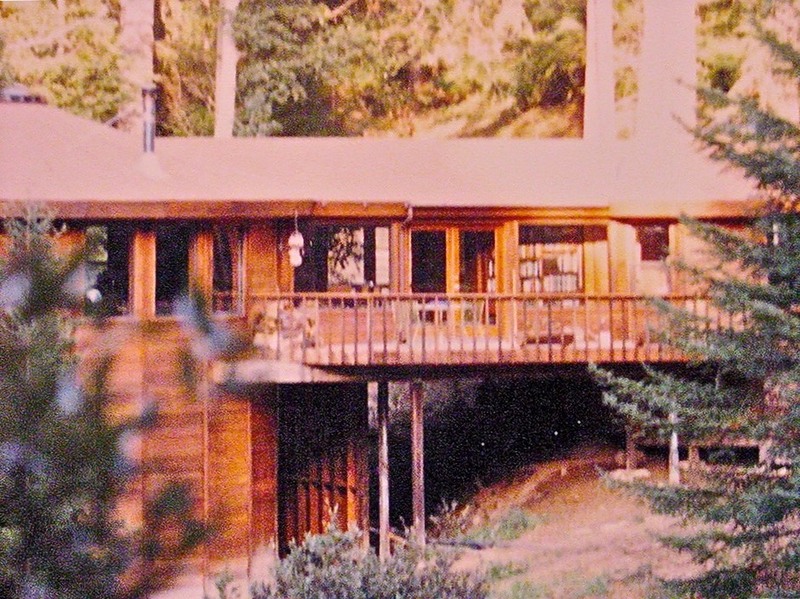 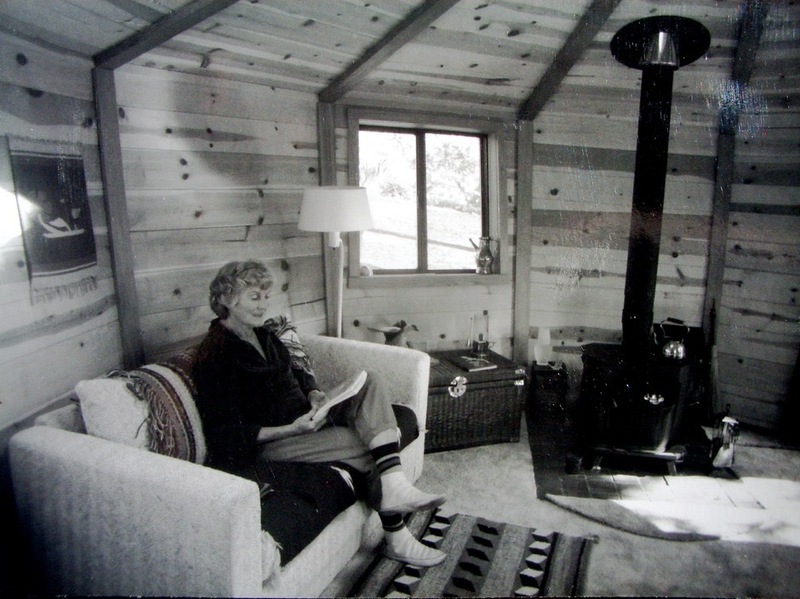 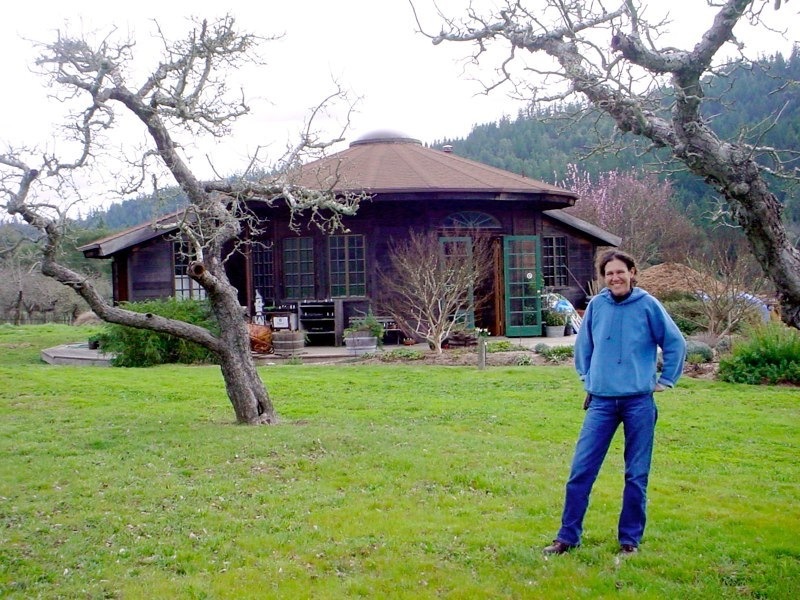 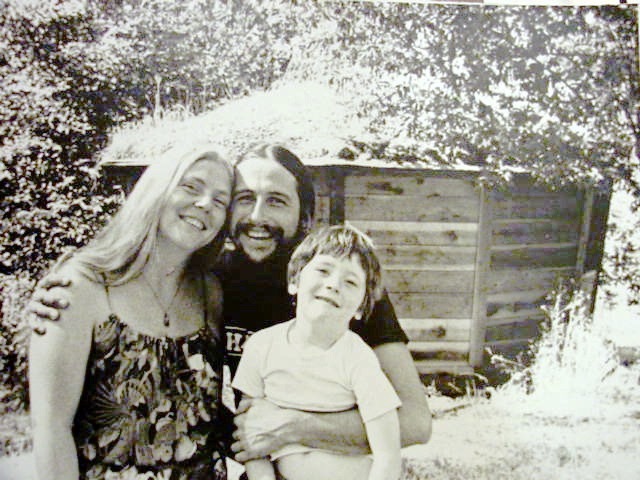 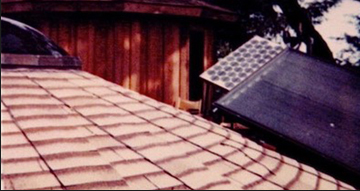 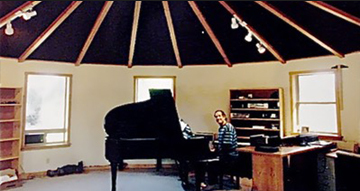 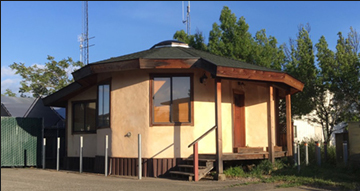 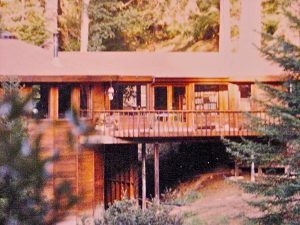 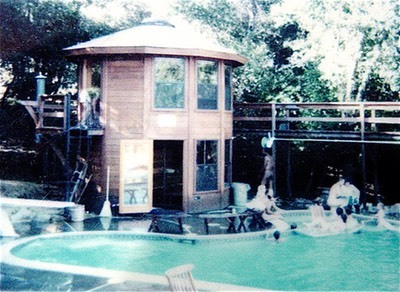 Bay Raitt at 4 (now 40) and David Raitt in 1979 at their original creekside office in Talmage, California in Mendocino County. 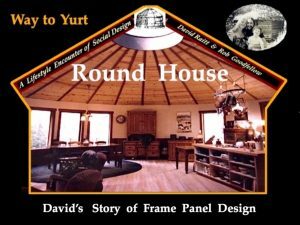 Yurtbook.com hard bound with DVD inside back cover due out soon! 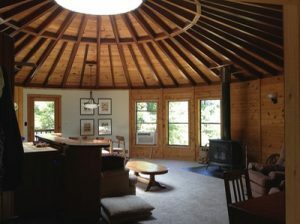 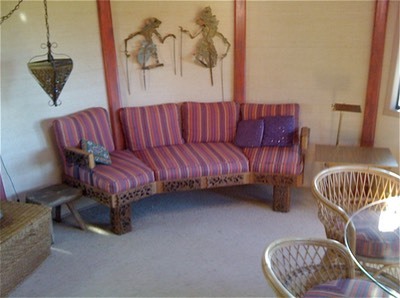 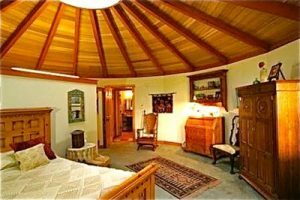 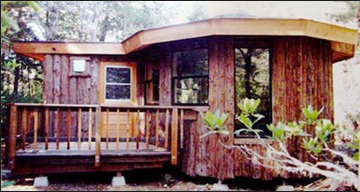 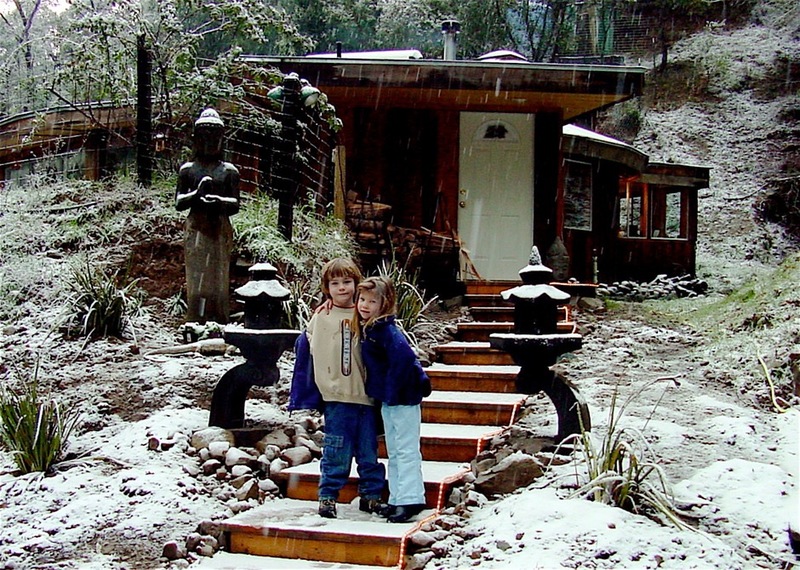 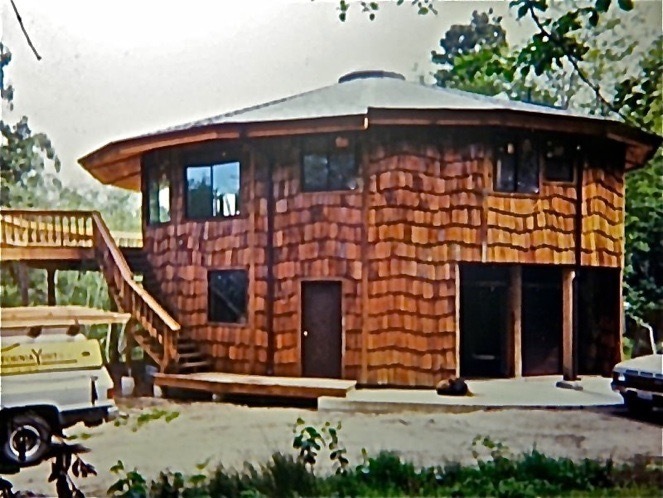 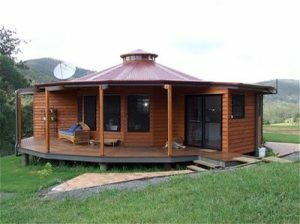 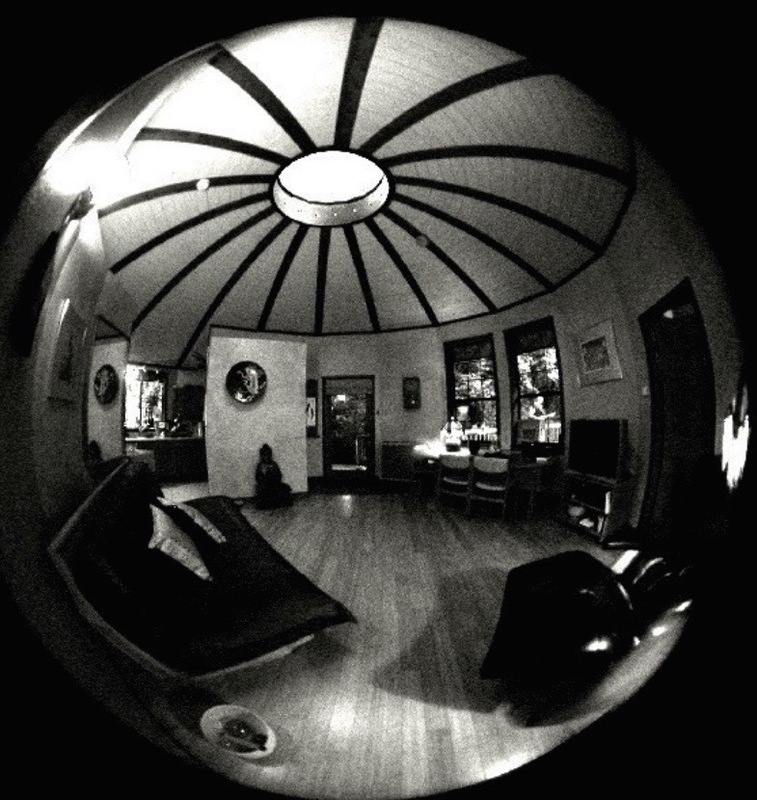 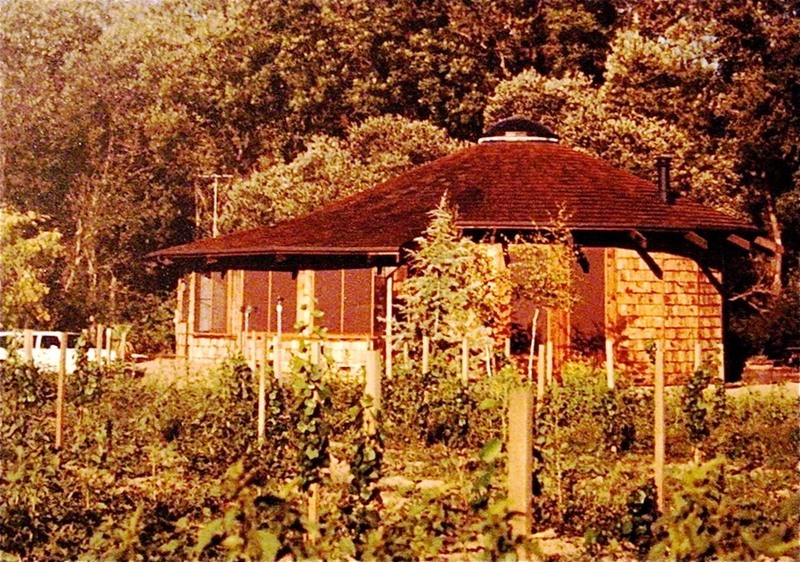 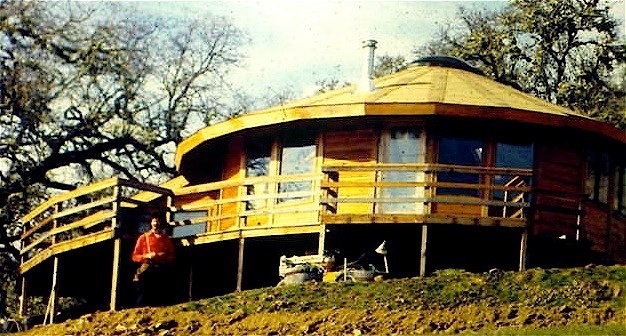 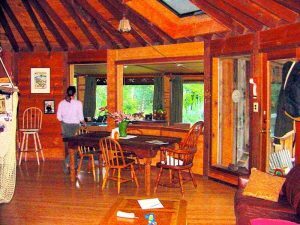 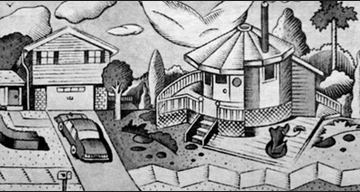 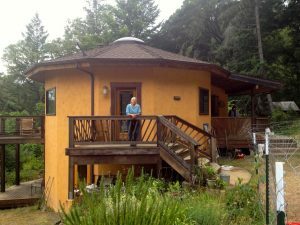 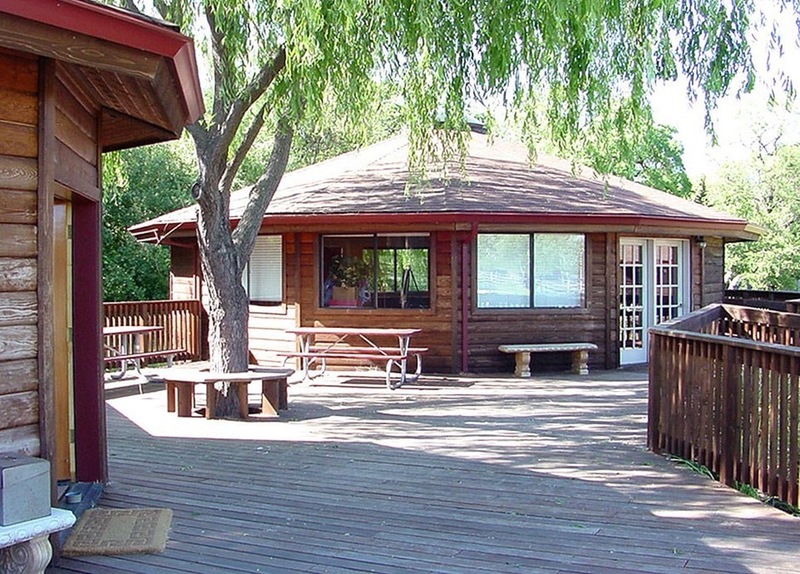 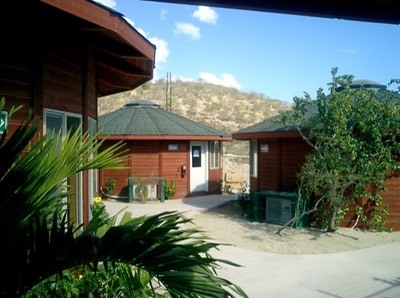 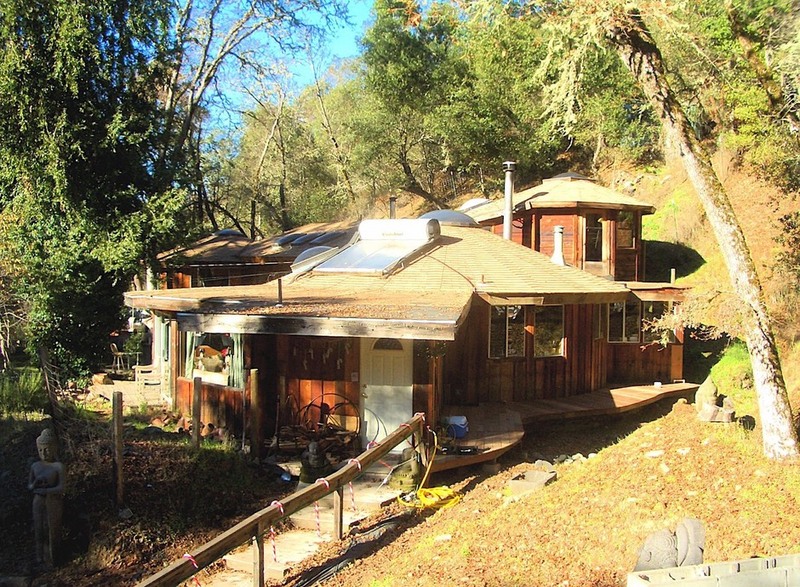 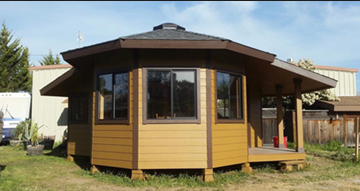 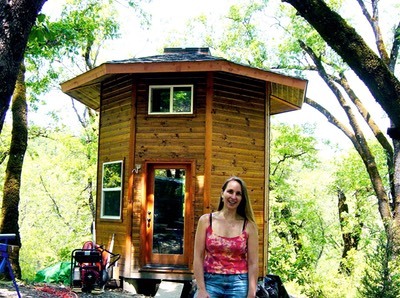 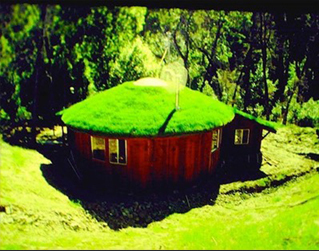 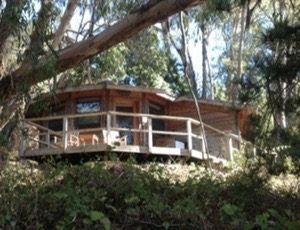 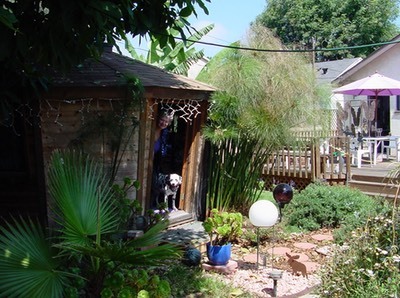 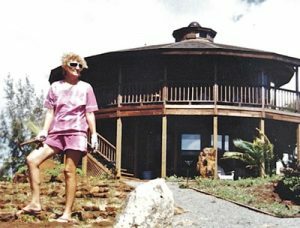 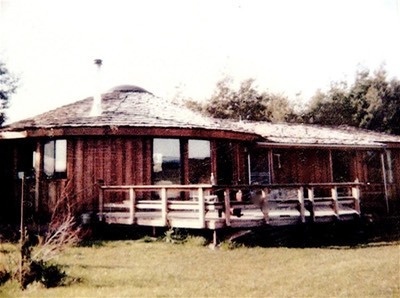 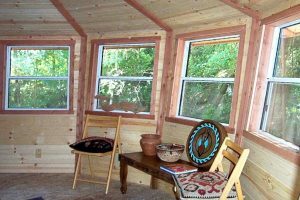 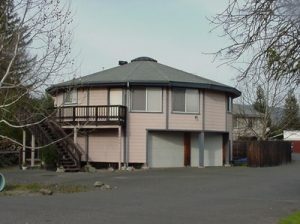 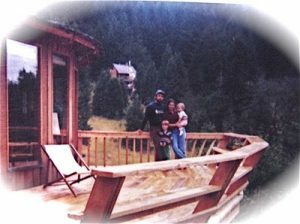 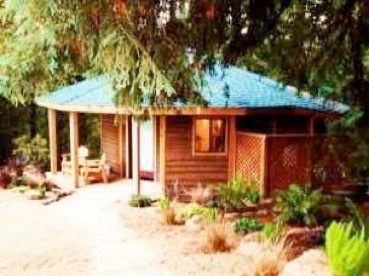 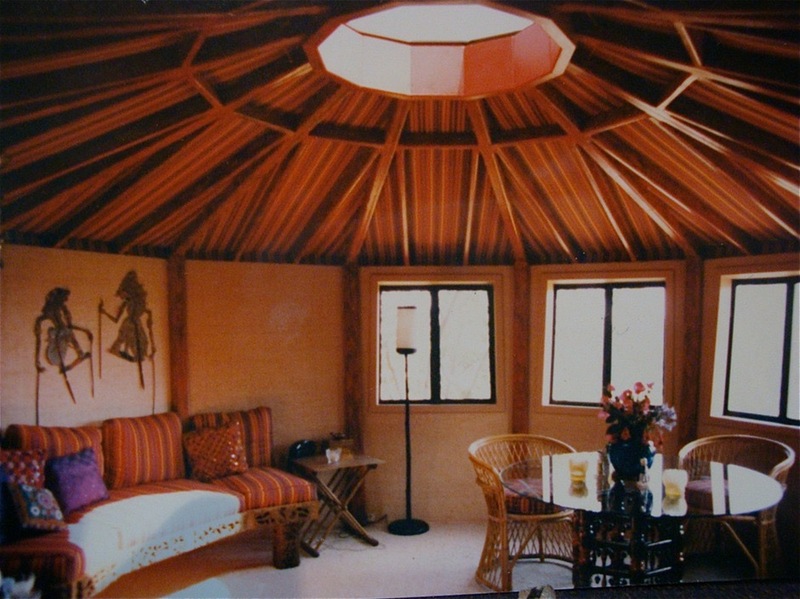 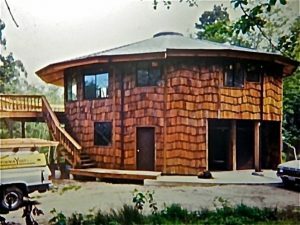 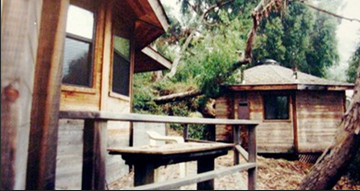 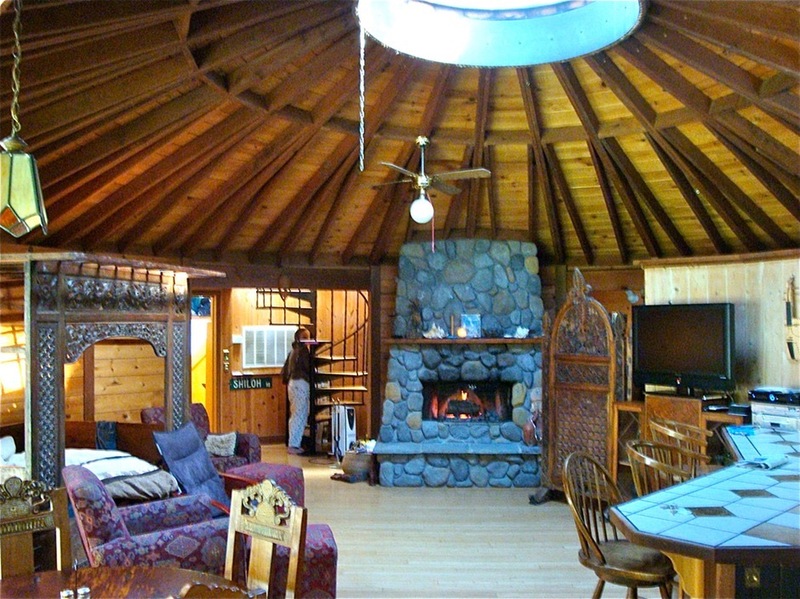 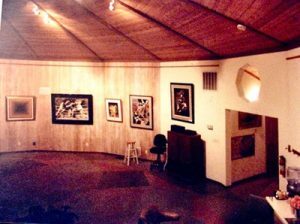 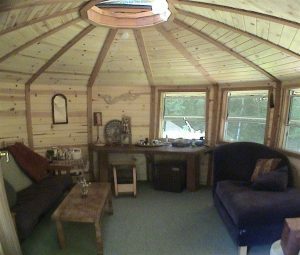 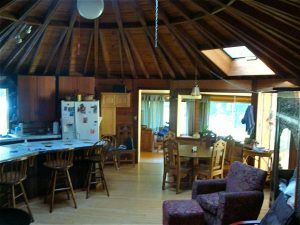 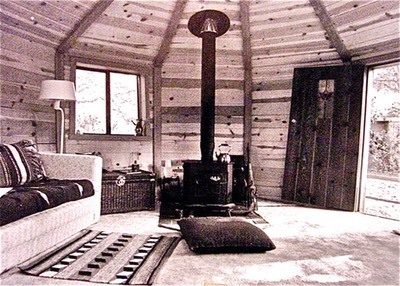 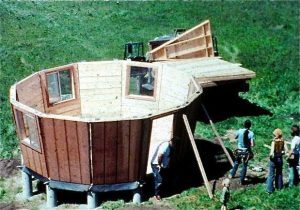 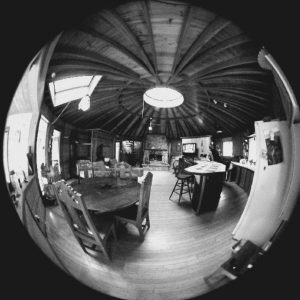 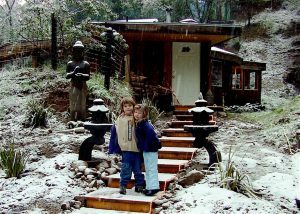 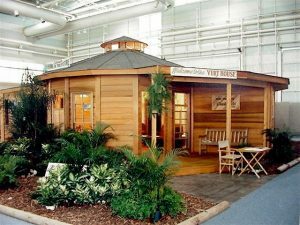 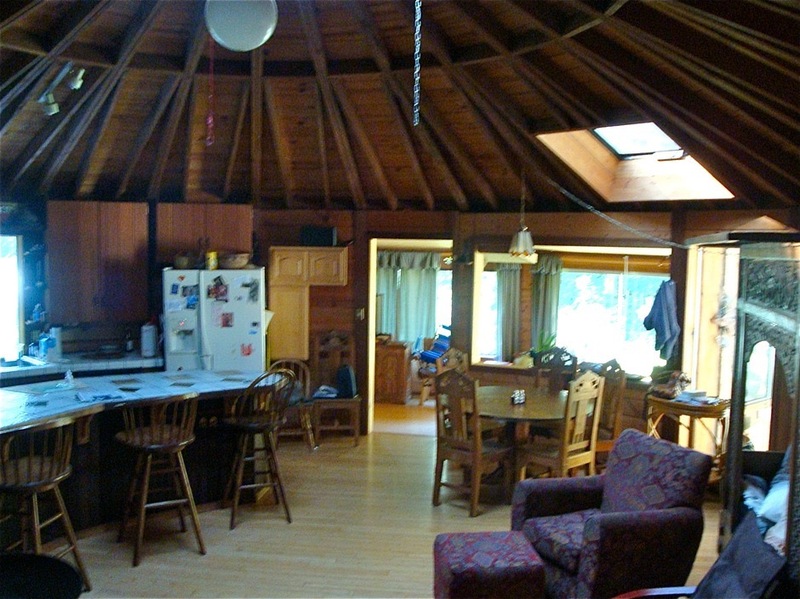 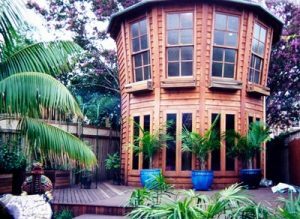 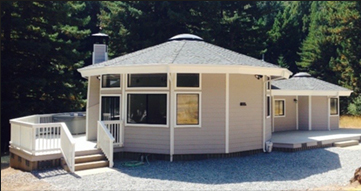 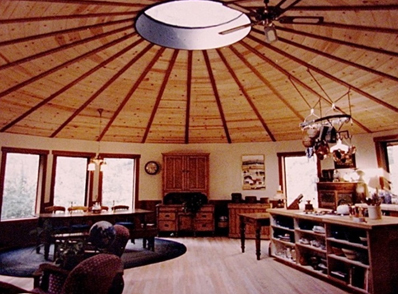 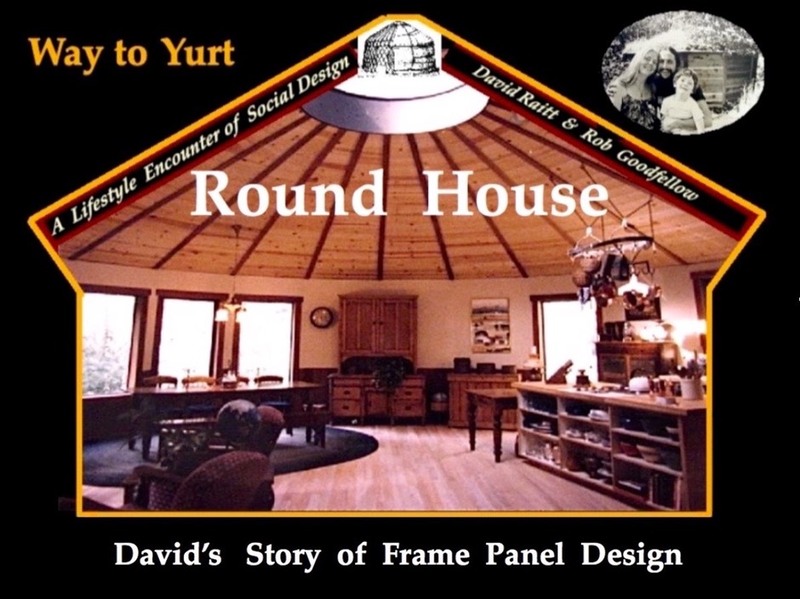 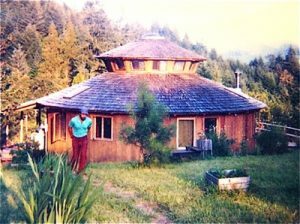 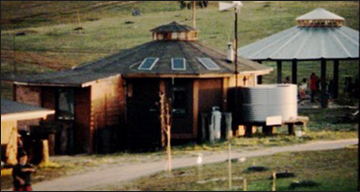 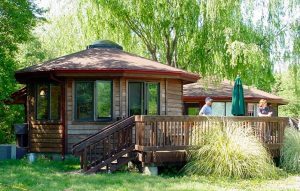 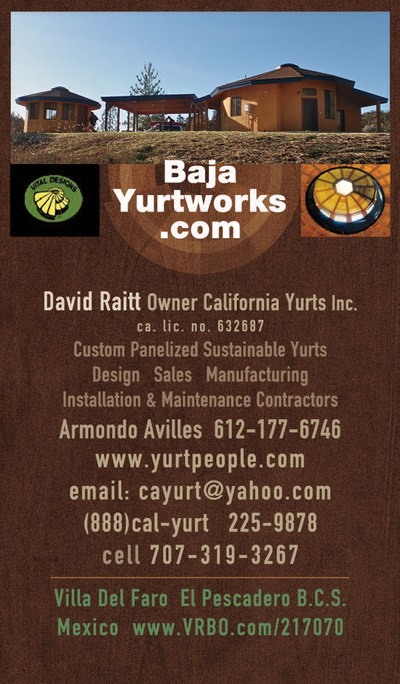 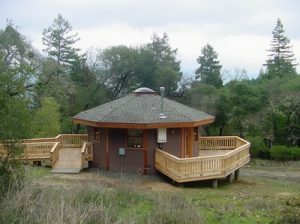 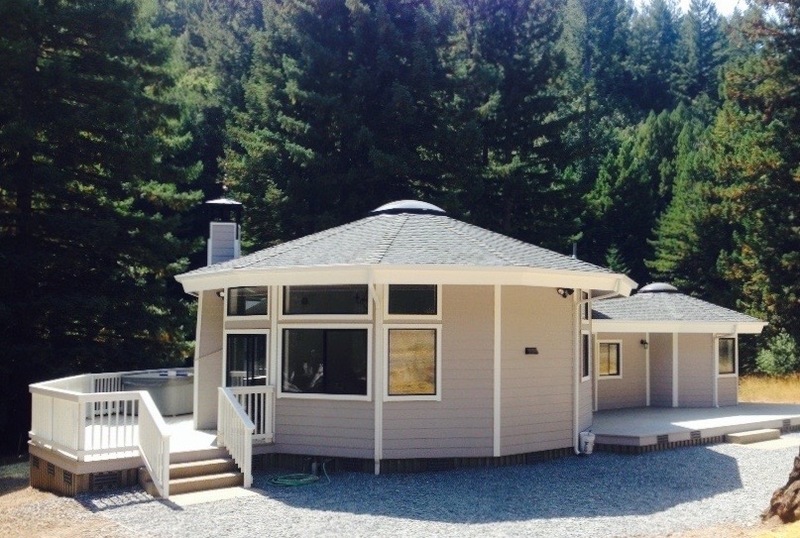 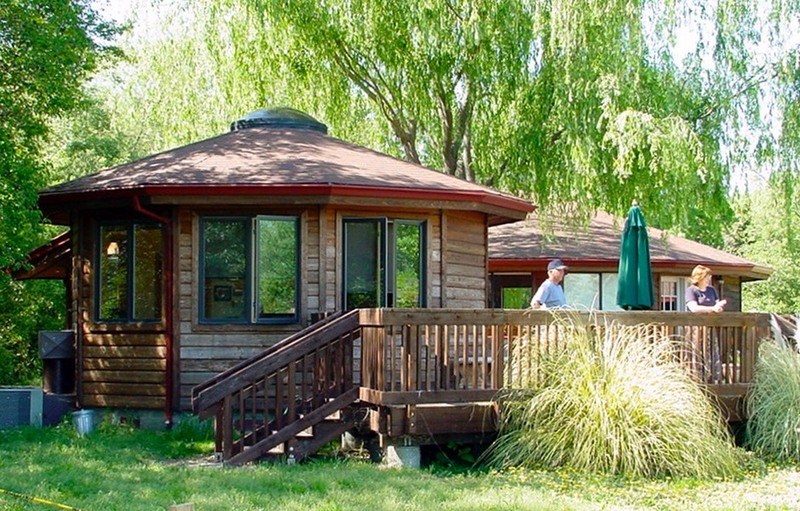 "California Round House" click on Yurt Book in menu to review and read draft.